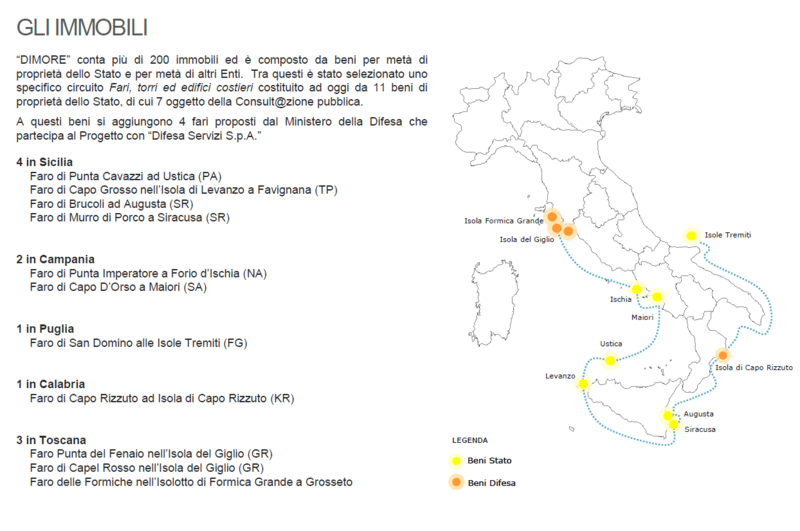 Following the success of the 2015 call for bids for 11 lighthouse renovations, 9 of which successfully assigned, l’Agenzia del Demanio (Italian’s State Property Agency) announced a new one. In September, 20 new buildings (towers, coastal buildings and lighthouses) will be put up for concessions up to 50 years. Lighthouse Spignon on the isle of Spignon in the Venetian South Lagoon. The organisers point out the prestige of the buildings that will become unique residences included in a national network for sustainable tourism, nature, culture and environment, bound to generate huge economic and social value. The project Valore Paese Fari of the Italian Agency for State Property aims at restoring and requalifying the State’s lighthouse network. Given the beauty and prestige of the locations, these buildings can be renovated as tourist destinations, respecting the ecosystems in which they are enclosed, some of the most extraordinary coastal landscapes in Italy. The goal is to bring sustainability and innovative entrepreneurship to the Italian territory, as it is already happening elsewhere in Europe, in Australia, Canada and the US. In these countries, the format of the lighthouse accommodation is already a well-known touristic formula to spread an environmentally-friendly development and preservation of the coastal territory. After the success of the call for bids in 2015, the State Property Agency has announced that 20 more buildings will be up for concessions of up to 50 years. List of the first 11 lighthouses, 9 of which already assigned.